If you’ve ever come across one, you probably know how that fantasy-like addition to your home becomes a true craving. 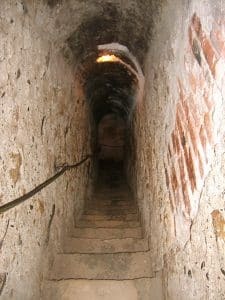 The mystery and intrigue that comes with discovering or experiencing a secret passage inspire the need to have one. Murphy Doors are, of course, perfect for secret passages; a seemingly innocent bookshelf is the perfect entrance to a system of hidden hallways. Need some inspiration? This post is the answer! Since ancient times and across cultures around the world, hidden passageways have been built into buildings for safety and secrecy. From notable true stories to famed examples in fiction and movies, we have gathered a list of six different secret passages in history and pop culture. Located in Transylvania, Bran Castle looks like it was plucked right out of a storybook and has held a secret passage that went undiscovered for years. In 1920 it underwent some renovations, and during that process a passage that leads from the third floor to the first was discovered. 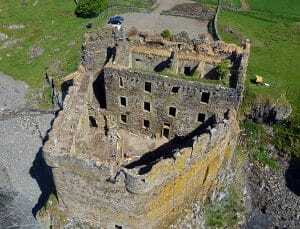 Many hidden passages in movies are connected through a door in a fireplace, and for this castle that is truly how the secret passage is accessed. Often mistaken for having ties to Bram Stoker’s Count Dracula due to it’s setting in Transylvania, Bran Castle’s historical background is tied to the Saxons. 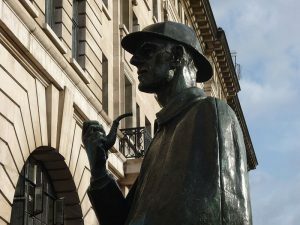 In recent pop culture, there has been a resurgence of interest in the works of Sir Arthur Conan Doyle and his crime solving mastermind, Sherlock Holmes. In the recent movies directed by Guy Richie, there have been a lot of critical acclaim for the art direction, specifically when it comes to seeing how Holmes interprets and notices clues. In Sherlock Holmes: A Game Of Shadows, there is a sequence in a wine cellar where they need to escape without a clear way out. This scene is unique for a hidden door list because you get a snapshot into how the secret passage is built through the keen observations of Holmes. As always, they make a deft escape just in the nick of time. 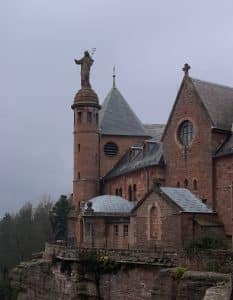 The secret passageway in this French monastery was only recently discovered due to a real life book thief. A true locked room mystery, for two years over a thousand rare and historical book went missing in a private library. In 2002 it was discovered, with the help of a police investigation, that the books were being smuggled out by a local teacher through a secret passage. Hidden behind a bookcase was a door that had been discovered by the teacher when he came across some old maps of the monastery. Concerned for the condition of the books, he began removing them in an attempt to save them from destruction. As The Telegraph reported at the time, “At his home, 1,000 more stolen books were found. All were undamaged, neatly stacked on shelves and catalogued by subject.” Once discovered, he was ordered to serve community service by aiding the monastery in the care and cataloging of the books he stole. 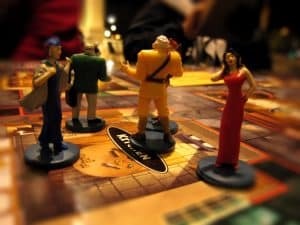 Whether you have played the board game or enjoyed the cult classic movie with its various endings, the game Clue is well known for its use of hidden passageways. It may have been Professor Plum, with the candlestick, in the conservatory who had done it, but to get there he just might have taken the secret doorway that leads to the study. Alternatively, he could have also used the one that leads from the kitchen to the lounge as well. This game shows how quintessential the ties between a good mystery and hidden passages really are. 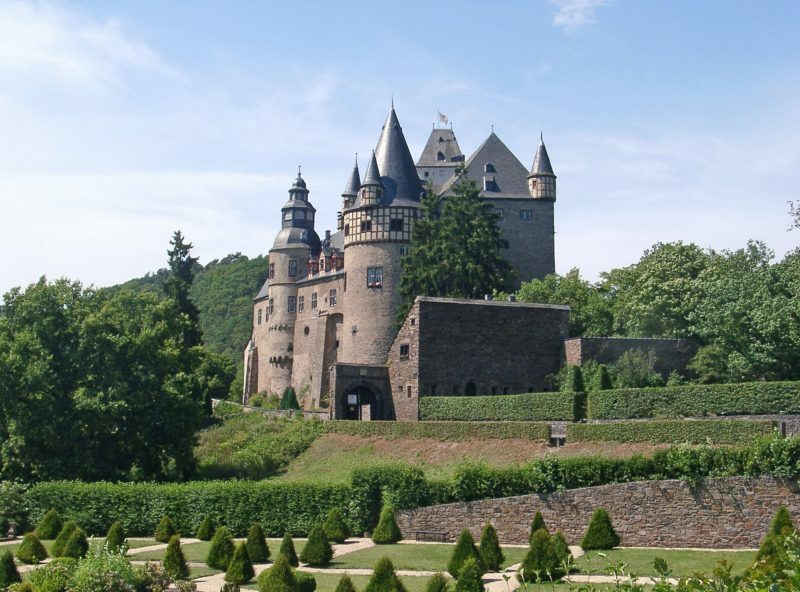 Set in 1938, Indiana Jones and the Last Crusade, Jones finds himself searching for his father at Castle Brunwald during the thick of Nazi occupation. They are both held captive and while trying to escape a burning room they manage to uncover a hidden passage to a secret Nazi communications room. The spinning fireplace door provides both comic relief and tension to this classic movie. While your home may not have the mystery, intrigue, or need to withstand canons, you might aspire to bring a hint of secrecy to your home and incorporate a hidden door or passageway. With a Murphy Door installed in your home, you will join the ranks of Egyptian pyramids, medieval castles, monastery libraries, and detective stories with its own secret. Our high school had a bricked over door to a small room. No one knows when the room was bricked off or why, but it contained shelves of old chemicals. And, of course, everyone needs a secret or two. Do you make custom sizes?